The Southern Giraffe (Giraffa camelopardalis giraffa) is the tallest animal in the World growing up to 5.5 meters and weighing up to 2 tons. Giraffes can live for 20 years and feed on more than 100 species of plants. 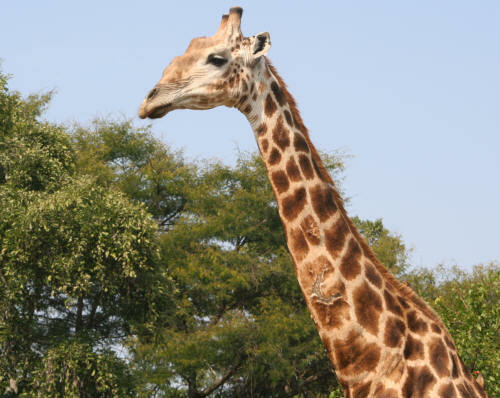 The Southern Giraffe is distributed widely around the Kruger National Park and can be seen anywhere in the Kruger. The highest density of Giraffe in the Kruger occur between the Sabie and Letaba rivers, with the area around Olifants having a particularly high density of Giraffe. North of Punda Maria Giraffe are rarely seen. Giraffes are graceful mammals and on may game viewers wish lists when they enter the Kruger National Park. They prefer Acacia Woodland habitat, as there favourite tree's to browse are Acacias, and don't venture into Mopani shrub veld very often. 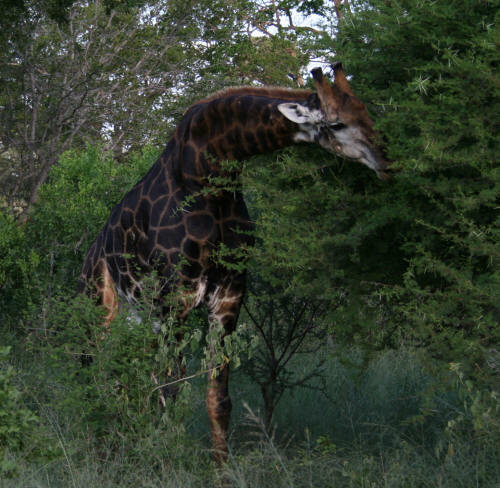 Fully grown Giraffe in the Kruger have been known to become prey for various predators such as Lion, Leopard, Crocodile, Hyaena and even Cheetah. 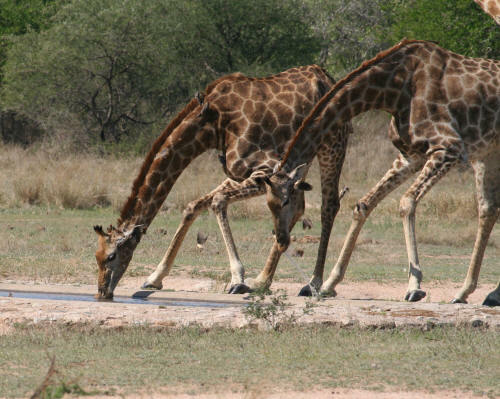 Giraffes are very vulnerable when they drink and this is often where predators attack them.